Training – Cipher Tech Solutions, Inc.
Cipher Tech now offers training specifically developed with the digital forensic or reverse engineering specialist in mind. In the spirit of “teaching a person to fish”, we are excited to offer our accumulated expertise in these topics to our colleagues in the Defense, Intelligence, and Law Enforcement Communities. 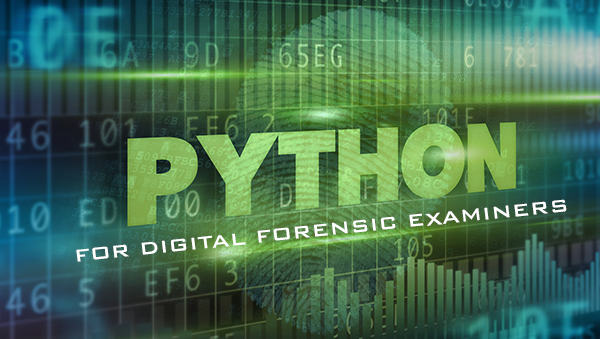 Students will review the Python syntax and environment, and then put their skills to use by solving a variety of realistic scripting problems that one might expect to encounter in a digital forensics lab. Students will walk away with a set of proto-typical scripts which they can reuse and customize in their day to day work. They will gain the confidence needed to tackle scripting problems on the job and will have the expertise to interface with and generate requirements for any software engineers they may have access to. The format will be a combination of lecture and hands-on exercises, featuring small class sizes (10 – 15) and a high student to instructor ratio (1:5 or better). Date and Time: Classes run upon request. Amenities: Cipher Tech will provide light breakfast, lunch, and unlimited caffeinated beverages. Students must bring a WiFi enabled laptop. Students need not be proficient in, but should be familiar with Python. Completion of an overview course such as the free “Learn Python” class by CodeCademy is adequate. Students should be currently employed as or be an aspiring digital forensic examiner – the sample problems will all be relevant to this discipline. Our hope is that these materials can be used for reference or reused as templates in the workplace. Prospective students may wish to ask their employers to reimburse their tuition. A convincing letter of request arguing that this training will be a good investment in the effectiveness of the team will go a long way. Read more letters of request here, and consider downloading a template to you get you started here.